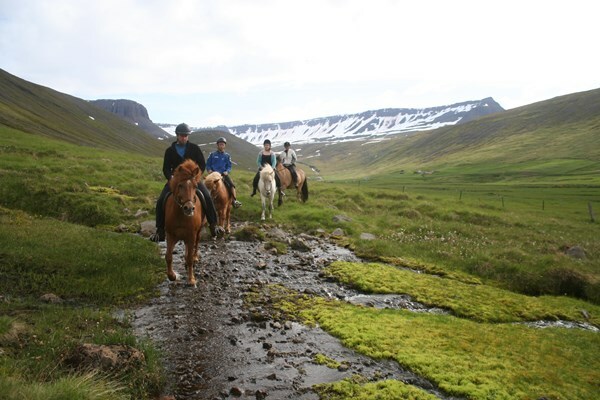 Tour length: Approximately 2,5 hours (actual riding time approximately 1-1,5 hours depending on the size of your group since larger groups need more time to get the horses ready). Description: This is your private and personal tour. You will not be in a group with anyone else and we will give you all of our time and personal service. Beginners prepare for a very informative hour since this tour is designed as a lesson. 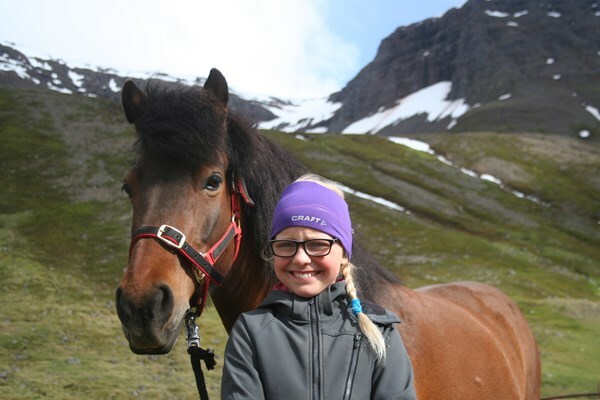 The first half of the tour will be where you will learn all the basics of Icelandic horsemanship (inside our arena in the wintertime). 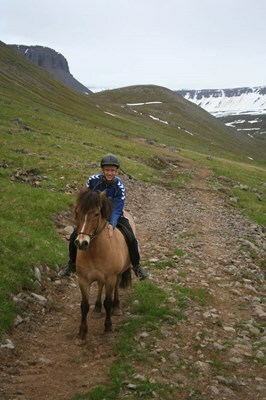 Then we will head out for a wonderful Valley Ride. 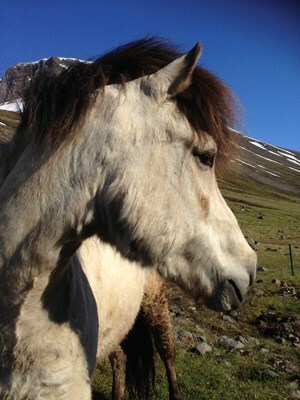 In the valley ride you will be introduced to the beauty of Engidalur. We will go at the pace you are comfortable with and take all precautions possible to make sure that you feel secure. The tour guide will have a Gopro camera mounted on his/her helmet so your tour will be documented for your pleasure. 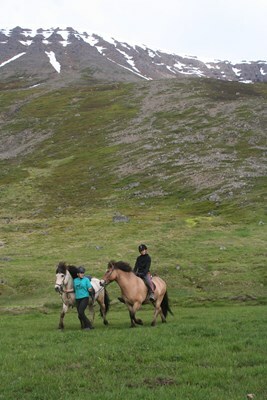 Advanced riders will get tips they need to enjoy the special traits and gaits of the Icelandic horse. 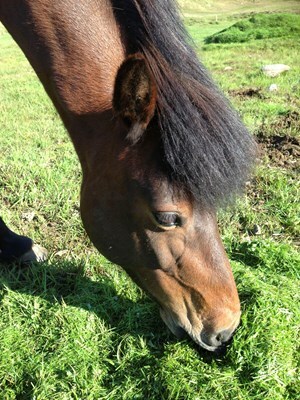 We pick more advanced horses for more experienced riders and go at a faster pace. Since we go at a faster pace we will also cover more ground. The tour guide will have a gopro camera mounted on his/her helmet so your tour will be documented for your pleasure. 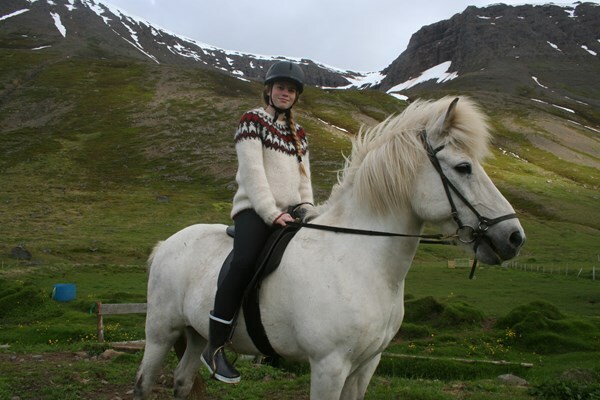 Keep in mind that riders that have experience in a different breed than ours may still have things to learn about riding Icelandic horses. 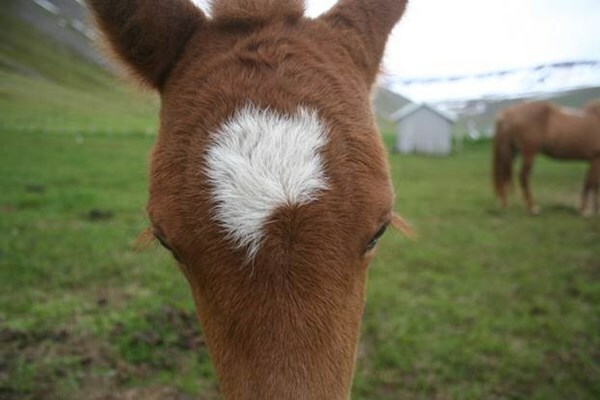 No two breeds are exactly the same and no two horses are exactly the same. 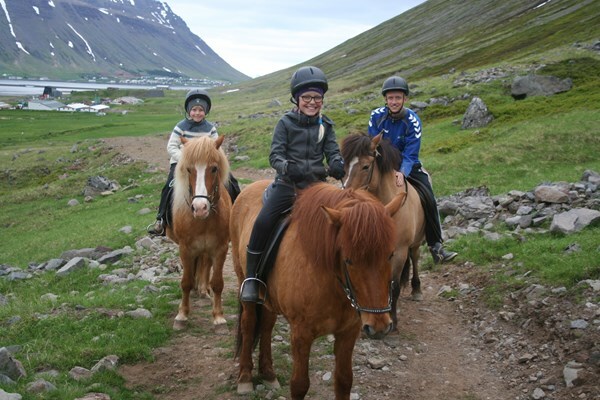 Mixed groups; if your group has both beginners and advanced riders you can still enjoy the experience together. 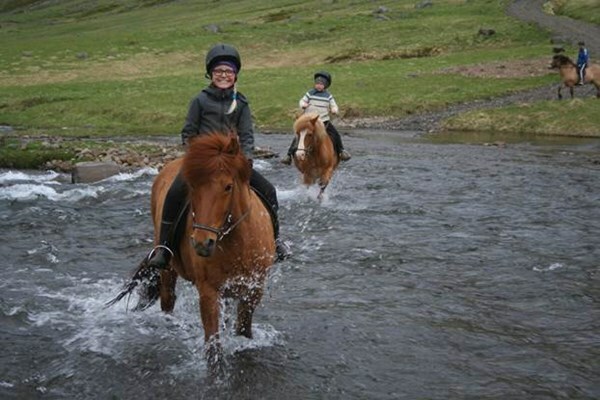 The tour guide will of course stay with the beginners and give them all the help and support they need, but we let the advanced riders have more advanced horses and give them more freedom to leave the group. 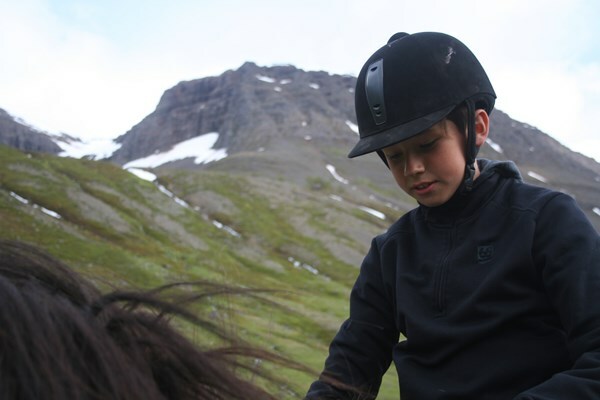 Advanced riders can ride at a faster pace in the opposite direction from where the beginner group is heading and return to the group. 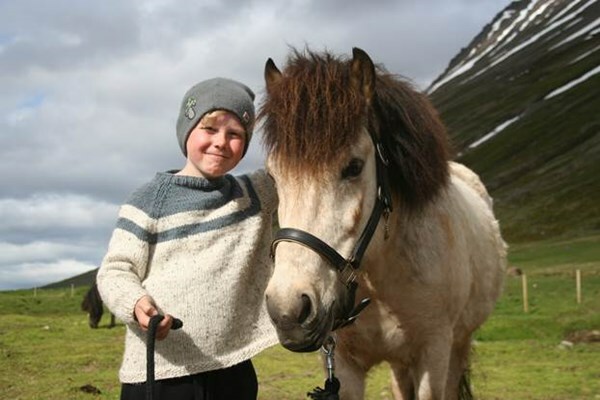 We do not set a specific weight total per horse but each rider must be able to mount his/her horse from level ground without assistance. 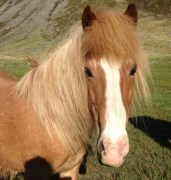 Tours every day! - Free transportation! 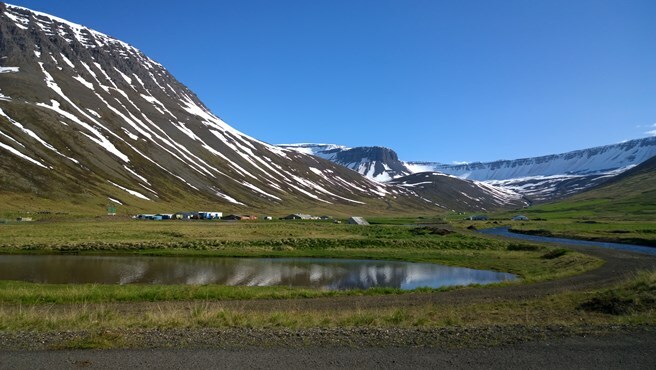 - Departures from anywhere in Isafjordur! Price: 15.000.ISK per person or 25.000. ISK for 1 person.